Here are some interesting and expressive verbs (action words) which will make your resume more powerful. These words will be helpful in expressing your active capabilities as well to mention your past actions and experiences. Complete the sentences with I’ll + an appropriate verb. Example: I’m too tired to walk home. I think I’ll take a taxi. 1. I’m a little hungry. I think ————- something to eat. Correct. We use will when we decide to do something at the time of talking. Incorrect. We use will when we decide to do something at the time of talking. This answer is incorrect since it uses present continuous. Present continuous should be used only if an arrangement has already been made. 2. It’s too late to call Tom now. ………….. him in the morning. Incorrect. We use will when we decide to do something at the time of talking. This answer is incorrect since it uses present continuous. Present continuous can be used only while talking about an arrangement that has already been made. Incorrect. We use will when we decide to do something at the time of talking. This answer is incorrect since it uses the present continuous which is used to talk about an arrangement that has already been made. Incorrect. We use will when we decide to do something at the time of talking. This answer is incorrect since it uses the present continuous which should be used only while talking about an arrangement that has already been made. 5. “Did you write that letter to Jack?” “Oh, I forgot. Thanks for reminding me. Incorrect. We use will when we decide to do something at the time of talking. This answer is incorrect since it uses the present continuous which should be used only while talking about arrangements that have already been made. Incorrect. We use will when we decide to do something at the time of talking. This answer is incorrect since it uses the present continuous tense which should be used only while talking about arrangements that have already been made. Use I think I’ll … or I don’t think I’ll . .. . Read the situation and then write your sentence. Examples: It’s cold. You decide to close the window. I think I’ll close the window. It’s raining. You decide not to go out. I don’t think I’ll go out. 7. You feel tired. You decide to go to bed. I……………………………………. Correct. We use I think I’ll or I don’t think I’ll, when we decide to do something. Incorrect. We use I think or I don’t think, when we decide to do something. 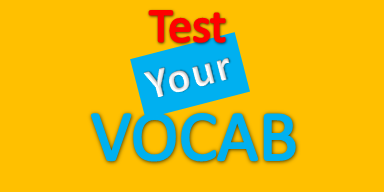 This answer is incorrect since it is in the present continuous tense which should be used only while talking about arrangements that have already been made. Therefore I think and I am going to do cannot be used together. 8.A friend of yours offers you a ride home, but you decide to walk. I think I'm going to walk. Incorrect. We use I think or I don’t think, when we decide to do something. This answer is incorrect because it uses the present continuous tense which should be used only while talking about arrangements that have already been made. Therefore I think and I am going to cannot be used together. 9. You arranged to play tennis. Now you decide that you don’t want to play. I don't think I'll play tennis. I don't think I'm going to play tennis. Correct. We use I think or I don’t think, when we decide to do something. Incorrect. We use I think I’ll or I don’t think I’ll, when we decide to do something. This answer is incorrect since it uses the present continuous tense. Therefore I think I’ll and I am going to cannot be used together. 10. You were going to go swimming. Now you decide that you don’t want to go. I don't think I'll go swimming. I don't think I am going to swim. Incorrect. We use I think I’ll or I don’t think I’ll, when we decide to do something. Offer to do things. Tom has a lot of things to do and you offer to do them for him. Example: Tom: Oh, I have to clean up. You: No, that’s all right, I’ll clean up. 11. Tom: Oh, I have to get dinner ready. You: No, that’s all right. I…………………………. Correct. We use I’ll or will in situations where we offer help. Incorrect. We use I’ll or will in situations where we offer help. This answer is incorrect because it uses the present continuous tense which should be used only while talking about arrangements that have already been made. 12. Tom: Oh, I have to do the shopping. No, that's all right. I do the shopping. No, that's all right. I'll do the shopping. Incorrect. We use I’ll or will in situations where we offer help. This answer is incorrect because it uses the simple present tense. Will is used when we decide to do something at the time of speaking, therefore the simple present tense cannot be used. 13. Tom: Oh, I have to water the plants. No that's all right. I'll water the plant. No that's all right. I am watering the plant. Incorrect. We use I’ll or will in situations where we offer help. This answer is incorrect because it uses the present continuous I am doing which is used only while talking about arrangements that have already been made but will is used when a decision is made at the time of speaking. Agree and promise to do things. Example: A: Can you clean the windows? B: Sure, I’ll clean them this afternoon. A: Do you promise? B: Yes, I promise I’ll clean them this afternoon. 14. A: Can you call me later? B: Sure,……………………………………………tonight. B: Sure I'll call you tonight. B. Yes I promise I'll call you tonight. B: Sure I'm calling you tonight. B. Yes I promise I'm calling you tonight. Correct. We use I’ll or will in situations where we agree or promise to do something. Incorrect. We use I’ll or will in situations where we offer help. This answer is incorrect because it uses the present continuous tense which should be used only while talking about arrangements that have already been made but will and I promise are used to talk about the future. 15. A: Can you fix the clock? B: Okay,……………………………………………tomorrow. B: Okay, I fix it tomorrow. A: Do you promise? B: Yes I promise I fix it tomorrow. B: Okay, I'll fix it tomorrow. A: Do you promise? B: Yes I promise I'll fix it tomorrow. Correct. We use I’ll or will in situations where we agree to something or promise to do something. Incorrect. We use I’ll or will in situations where we agree to something or promise to do something. This answer is incorrect because it uses the simple present but will and promise are used to talk about the future. 16. A: Please don’t tell anyone. B: All right, I won’t tell anyone. A: Do you promise ? B: Yes, I promise I won't tell anyone. A: Do you promise ? B: Yes, I promise I am not telling anyone. Correct. We use I’ll or will in situations where we agree to something or promise to do something. The second part of the answer is incorrect because it uses the present continuous which should be used only while talking about arrangements that have already been made. Incorrect. We use I’ll or will in situations where we agree to something or promise to do something. 17. A: Please don’t hurt me. B: Don’t worry,……………………………. B: Don't worry. I won't hurt you. A: Do you promise? B: Yes, I promise I won't hurt you. B: Don't worry. I am not hurting you. A: Do you promise? B: Yes, I promise I'm not going to hurt you. Incorrect. We use I’ll or will in situations where we agree to something or promise to do something. This answer is incorrect because it uses the present continuous which should be used only while talking about arrangements that have already been made.